Now that summer is nearly spent, most of my children are back in school, and life is getting back into a routine, I'm trying to stick to a writing schedule. I'm still working out the details since I have my youngest still at home and I'm a bit beholden to her whims and needs at times, but there's definitely more writing in the works. For the last year, I've been working on another side project besides the third book in the Birthstone Trilogy (still deciding on a title for that one). It's become a real obsession for me because, not only do I love the characters, story, and plot so much, but I love the world it takes place in. Yes, it's another fantasy- I tend to take every opportunity to visit other worlds as often as possible because it's really the only traveling I get to do- and though it's a stand alone novel, I have so many other ideas for that world and the people living there. One of the themes I've noticed in this newest book (which is close to being complete!) and other book ideas I've outlined is how much they center around the earth's natural resources. Sea Dweller and Heiress center mostly around gems, I have a rough outline of a couple books that center around specific minerals, and most of all, I have so very many ideas that center around plants. I didn't realize this until I started looking at the reoccurring themes in many of my plot outlines and current works in progress, but when I thought about it, it made sense that they would show up in my books. From the time I was a child, I loved rocks. Yeah, yeah, lots of kids do. I know. But to this day, I still have tons of enthusiasm for agates (nothing is more fun than beach combing, I tell you!) and unique stones. I study their lines and marks and wonder where they've been, what they've seen, and how long they've been in existence. I was incredibly jealous when my dad visited my favorite beach for agate hunting for the first time and found one of the biggest, most beautiful agates I'd ever seen in all my years of going there. I may have even insisted he leave it to me in his will. . . .
After I got married, I began to garden. I became fascinated with the idea of planting a single, tiny tomato seed and producing a plant taller than myself laden with fruit. It was the closest thing I could get to what seemed like real magic. I'd start with what seemed like nothing and by the end of the season, I'd have more produce than I knew what to do with. The different varieties, unexpected colors, and odd shapes of pumpkins, tomatoes, melons, squash, carrots, and beans I could grow still never gets old. It's made stories like Jack in the Beanstalk so fun for me. . . there's always the question of "What will come from planting this seed? What kind of magic will I see this year?" There's so much faith involved in nurturing and caring for plants and the rewards can be so abundant. I've seen similar themes in the works of other authors I admire and in many whose works I don't particularly care for and it always tells me something about them. One of the writers I love often incorporates types of stitchery and knitting in her young adult fantasy novels and lo and behold, she's a knitter. Another favorite author includes many embarrassing and awkward moments for her characters that keep the reader laughing and feeling humiliated right along with the character. When you read that authors blog, she sometimes shares her own awkward experiences and admits to having them regularly enough to keep her stories filled with them. Many writers incorporate their faith into their books, even if it's subtle (I've done that too) and others incorporate their worst fears. Many inject hints of their own weaknesses, their fantasies, their hopes, their trials. My point is that most writers really ARE their books, and I'm reminded of this every time I reread some piece of fiction I've written. I end up seeing so much of who I am within the pages of my book and it's a bit nerve wracking. There's never any intent to bare my heart in the stories that I write, but it always manages to show up whether I want it there or not. Everything a writer puts into their story tells something about them. If you want to truly know more about your favorite author, skip the bio and continue to read his or her stories to get a deeper look into that writer's mind. That's why rejection and negative reviews become so personal for writers. They've carefully selected and painstakingly cut out pieces of who they are, what they've seen and experienced, and inserted them within the pages of their books. The part of a story that seems like it's there just to move the plot along to the next scene- chances are it came from something that happened to the writer. One character's annoying quirk- it's likely the author knew someone with the same habit and it stuck with them somehow. In my next book, the main character is mute. My physical ability to talk has never been a challenge for me, but I can tell you I didn't draw the mc's emotions and struggles from some made-up place. I've experienced what it's like to not be heard- to feel soundless and overlooked and without a voice, even if the ability to speak was physically there all along. I've known other's who have been voiceless, both emotionally and physically and by observing their experiences, even internalizing them at times, how I see things had changed and added to the structure of my character. So, the next time you breeze through a really great novel, or force yourself through one that isn't your cup of tea, it might be worthwhile to look for hints of who the author may be, what they may have experienced, the strange little oddities and experiences hidden away within the themes and pages of the story. Not only can it let a reader know if that writer is a good match for him or her, a kindred spirit, and worth personally investing in, but sometimes it makes it possible to find hidden nuggets of wisdom and experience that are easy to overlook in the search for entertainment. And those have been the parts of a story that have remained with me long after the rest of the book has faded from memory. 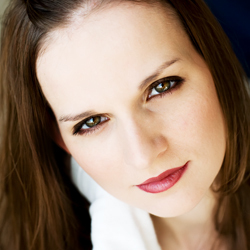 Check out Sara B. Gauldin! Don't miss the intense new novel by: Sara B. Gauldin: Aware! This new edition invites us back into the tale of our star-crossed lovers; now existing on Earth in mortal form. As the newness of their mortal lives slips away, so do their childhoods. Terra and Liam find that the world they inhabit is something completely different that the peaceful humanity they had hoped for. As Terra has grown in her understanding of humanity, the world as she knows it has become a mask for something far more sinister and only she stands between the mortal world and the hidden evil that seeks to destroy it. But she cannot fight alone. With time running out, fighting a lonely battle against legions of corrupted spirits and her hopes of success waning, she must find a way to warn humanity’s other guiding spirits, and protect her soul mate Liam from the scourge. Will Terra succeed? Will she and Liam have a future together? Will humanity have any future at all? Reenter the world of Terra and Liam and find out in book two of the Corporeal Pull series! Many readers have asked me where the idea for The Corporeal Pull series came from. The original characters and premise came from a very vivid dream that I had several times. I was going through a difficult period in my life. I was watching my father lose his battle with cancer. I think watching his final days primed my mind to wonder about the hereafter. A brush with death at a young age left me acutely aware of my own mortality. This series is a work of fantasy, but it does contain elements of spirituality and innate purpose that are plentiful in organized religion. To that end, the book was written to carry out a plot that I found too intriguing to keep to myself. A few reviewers have labeled the first book in the series "a philosopher's fantasy". To that end I don't consider myself terribly philosophical. I am merely inquisitive. I have fallen in love with Terra and Liam. Originally this plot was intended for one full length novel. I realized half way through the first book that one novel would not be enough to contain this couple's love or to describe the action packed journey they take to preserve it! Book two, Aware is a continuation of that journey. I hope my readers enjoy reading it as much as I have enjoyed writing it! The first book in the Corporeal Pull series, Alive was released in January, 2014. When Terra met Liam, her limited view on her eternal existence was forever altered. How can she as an immortal guide be paired with a mortal soul mate? Terra is faced with the unthinkable task of sending her love to his corporeal life and to his destruction. She must make a choice, or she will lose Liam to the pervasive evil that is steadily claiming the mortal world as its own! This epic tale of good versus evil examines the age-old question of “why me” that all earth-bound travelers must ask. Alive: The Corporeal Pull is a story of love that transcends both time and the mortal plane. This action-packed love adventure will invite you in and leave you breathless! It's been one heck of a crazy month. Between dealing with my six year old's surgery and the infection that ensued, several sick kids, Halloween, a car with a ruined transmission, and all the other unexpected joys in life, I've had very little time for writing. This usually leaves me a little antsy, stressed, and cranky after a couple weeks. Sure enough, right in the thick of everything and with no time for an outlet (aka writing), I developed a serious twitch in my eye. And it was the most persistent, twitchiest twitch of any I've ever seen or experienced. Luckily, my kids thought it was the greatest thing in the world. All I had to do was call out, "It's doing it again!" and they'd drop their video game controls, forget whatever snack they were eating, stop mid-fight with their siblings, and come running just to witness the momentous occasion. Indeed, there's something totally awe-inspiring about an eyelid that moves and twitches all over the eyeball completely by itself. Multiple times a day. Every day. For two weeks straight. That is unless it's YOUR eyelid. Then it just feels like a very large fly is tap dancing across the surface. Stress can do awful things to a person and I am no exception. And when things get really stressful and I don't get some writing in, it gets more and more difficult to sit down and try to find the inspiration to begin again. I was going to participate in nanowrimo but I realized it's just not going to happen this time. In spite of this, however, I plan on dedicating this next week to writing. It's easy to get discouraged (as I've mentioned before) but amidst all the craziness, I've also had some really inspiring moments that have made me want to get back to work. The first came this week on election day. My good friend of seventeen years, Mia Love, was elected to the House of Representatives for Utah's fourth Congressional District. Now, whatever your politics are, Mia has an incredible story and she's admirable for many reasons. One of them is that she doesn't give up, ever. When things get difficult, she works even harder, sets more goals, and pushes forward with more resolve. In the time I've known her and in the time I shared an apartment with her, I've only seen her speak in a way that indicated what she was GOING to accomplish, not what she might or wished to accomplish. Her determination knows no bounds and even in the face of harsh critics (She's in politics- it's bound to happen), she's unfazed. She presses forward with an eye on what she believes in and what she knows is right. That's always been a bit of a struggle for me. I battle discouragement daily but during the time I've watched my friend's political career blossom and observed her positivity, I've been inspired to keep going with my goals, though they may take a while to fully achieve. Watching the excitement over her success from those that voted for Mia and supported her through her campaign has served to strengthen my resolve in my own goals. Congratulations Mia! I'm so excited to see all the amazing things you're going to continue to accomplish! The second thing that has helped dispel discouragement is the sense of accomplishment that comes from doing something just downright fun and actually having it work out. 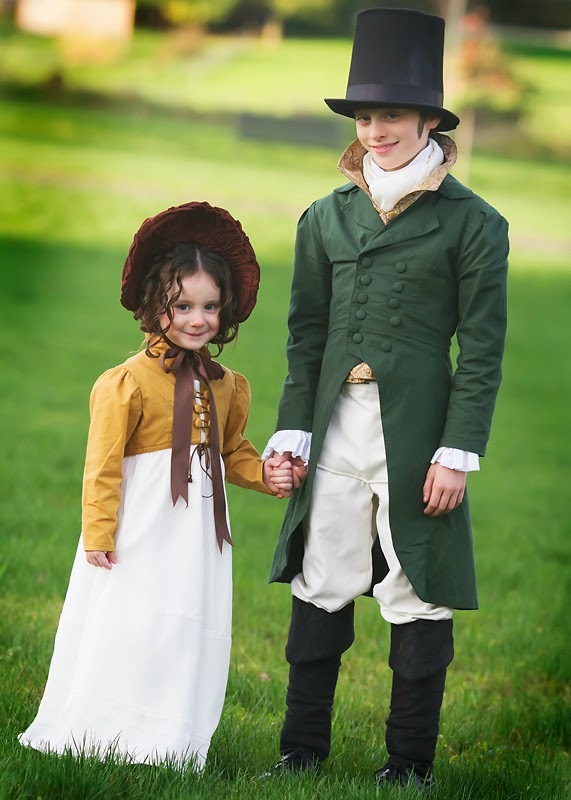 Remember that remark I made in my last post about my kids needing therapy because I was the type of mom to make them dress up like Mr. Darcy and Elizabeth Bennet for Halloween? Um, yeah. I was serious. . . . . I spent a good several weeks on these costumes, (my amazing mother did the bonnet which I wasn't even going to attempt) and I pushed my meager sewing abilities to the extreme in order to make them. Yes, my daughter would have preferred to be Elsa for Halloween like every little girl we've ever met since that blasted movie came out but she eventually agreed to humor my obsession. My son was pretty enthusiastic actually and needed no cajoling (BECAUSE HE'S AWESOME! Seriously, what ten year old boy thinks Pride and Prejudice is totally great? My son, that's who!!) Anyway, these were based off the A&E Pride and Prejudice miniseries from 1995 starring Colin Firth and Jennider Ehle and I reworked several patterns and even drafted a bit of my own to create these costumes. 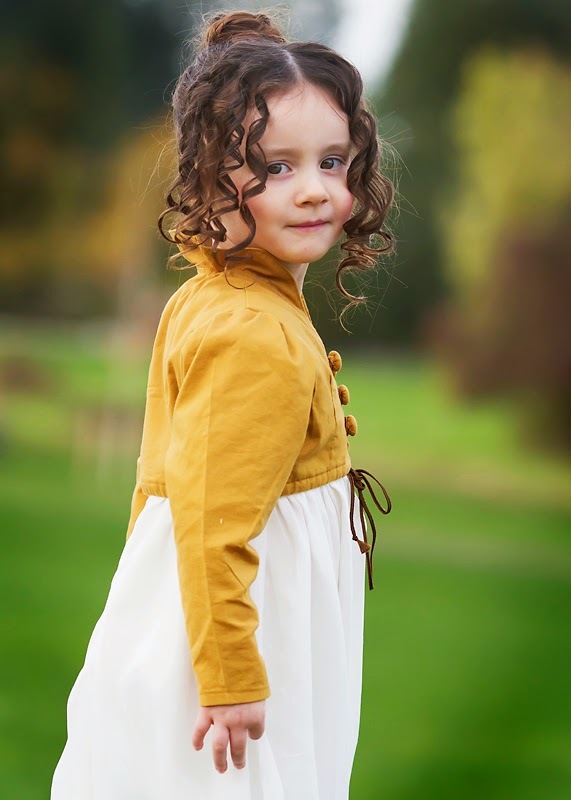 I did it so I could live vicariously through my kids (I SO need a reason to dress up Regency style! Someone, quick! 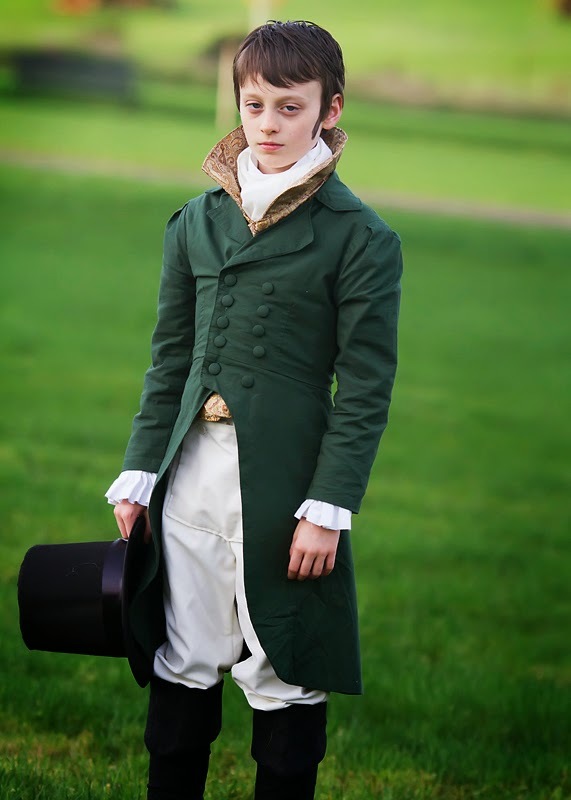 Invite me to a Regency party, please?!!) and because I just wanted to challenge myself. What I wasn't expecting was the incredible positive feedback and excitement from the friends on Facebook who saw the results of my efforts. It was enough to make me think, "Hey, maybe not everything I do is a wash. . ." and from what I was told, it made enough people, friends, and fans of the original miniseries smile and laugh. And THAT, that alone was worth it. After all, isn't that why I'm writing? Not everyone is going to like what I publish. I even got my first real snarky review this month. . . (Yay, I'm legit!) but like Mia has shown, I can't let negativity and critics stop me from accomplishing what I believe in. The true reason I write is because I want to provide good, clean stories that will make people FEEL. Stories that will put smiles on their faces or give them something to think about, something to ponder. I want to provide something that gives them some joy, or hopefully an escape from some of the things they face in their lives. And hopefully there will be enough people in the end who will be happy I attempted it. So eye twitch, broken transmission, sickness, and all, not a terrible last few weeks and I learned a lot- enough that I wanted to share. And now for the final bit of news. On Saturday, November 8, I'm going to be featuring another author on my blog. She writes clean young adult novels and her first book is on sale on Amazon for only 99 cents right now. Sara Gauldin's book, "Alive: The Corporeal Pull" has got awesome reviews and it's a guaranteed clean read for teens and adults. Currently, it's ranking pretty high on Amazon's list of top downloaded books and her second book is set to be released soon! Keep an eye out for the feature, spread the word, and go get her book while the sale is on! I know what I'll be reading tonight! 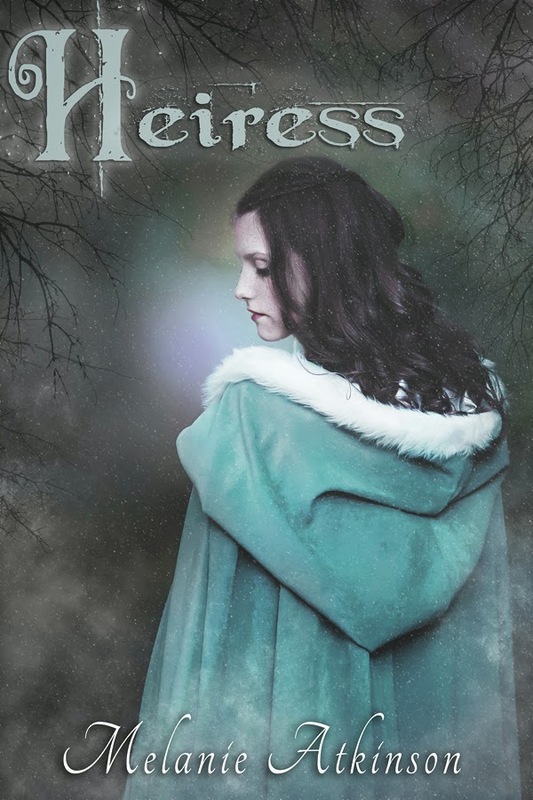 "Heiress," Book Two in the Birthstone Series (Sequel to "Sea Dweller") is finally here! While I'm still waiting for Barnes & Noble to list the book, Amazon and Itunes currently have it listed. Also, in our local paper, The Mountain Times, my little "writing story" was featured. Thank you to Madie Smith for writing it. It was such an honor to be interviewed and the article was so positive and fun to read! Madie has serious talent in writing. I'll be posting a bit more about the second book and a few more links as they become available this week, but for now, I wanted to make the anouncement that Book Two is available for purchase. Also, the price is currently $1.99. It won't stay that way. Sea Dweller (book one) will be free soon and when that happens, Heiress will be permanently listed at $2.99. I wanted to make sure it was priced lower for the first buyers! So, if you plan on purchasing it, grab it now! "Sea Dweller 2". Just as with the last cover shoot, my lovely model, Sydney, did a wonderful job hiking in the mud and cold and ignoring the strange looks people gave us while she strolled around a public park in a medieval dress and in the (extremely) heavy cloak shown in the photo. So, I owe her a very special thank you for once again, being willing to be my cover model. And yes, this means that Book 2 - otherwise known as "Heiress" - is VERY close to being released. I don't have an exact date yet but it's nearing the final stages of editing. Thank you to all of those wonderful friends, family, and readers who have hung in there and been so patient. I've had a lot of questions about when Book 2 would be ready and I've had to confess to people that I am a slow writer. Luckily, I'm getting faster with each book. . .so maybe Book 3 (the last book about Aylen and Sai but NOT the last book based in this world) will be finished even faster. Anyway, enough blathering. I've got a bit more editing to do and the sooner I do it, the sooner "Heiress" will be out to purchase! I can't wait to share the rest of the Aylen's story!